MTV’s Teen Wolf is a prime example of how to do a reboot correctly. Based on the 1985 cult comedy of the same name, this series takes its premise in a darker, more thrilling direction while maintaining a witty sense of humor about itself. While fans of the original film may balk at this gorier interpretation, people unfamiliar with that original film will find a fun, witty, and thrilling horror series they can sink their teeth into. Teen lacrosse player Scott McCall (A charismatic Tyler Posey) is an average kid on the cusp of high school. However, Scott is attacked by a creature while on a late-night trip to the woods with his best friend Stiles (A show-stealing Dylan O’Brien), waking up the next morning with increased strength, agility, and confidence with the ladies. 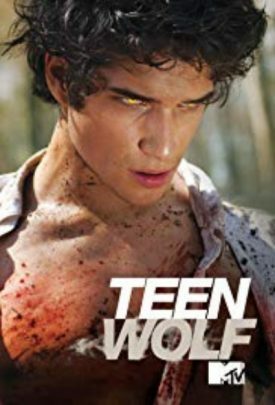 But with great power comes great pain, as Scott soon discovers he has become a werewolf, with only the mysterious Derek Hale (a borderline emo Tyler Hoechlin) offering help. Worse still, there are werewolf hunters in the area, and Scott has raised the suspicion of classmates Jackson (Colton Haynes) and Lydia (Holland Roden). Will Scott learn to control his powers, evade his hunters, and woo new girl Allison (Crystal Reed) while maintaining a normal life? Teen Wolf has a fantastic opening season. Clearly taking inspiration from shows like Buffy the Vampire Slayer, the show balances supernatural action, teen drama, and humor surprisingly well. The comedy slowly lessens as the story becomes more intense, but the writers always know when to insert comic relief and when to take things seriously. The cast shines across the board, the gore is gross without going too far, and each character is well-developed. My only gripe is the borderline dated computer effects. While the show mostly relies on practical makeup, the computer-generated ones rarely mesh with the real world. Besides that small hiccup, the first season of Teen Wolf is a fun, stylish, and thrilling treat you’ll howl for. Stream it on Amazon Prime.